The paintings of animals are an integral part of art history. There is even a genre named equine painting, describing portraiture of horses. On our planet, animals are present much longer than humans and it is no wonder that the animal world fascinated artists from the earliest of times. 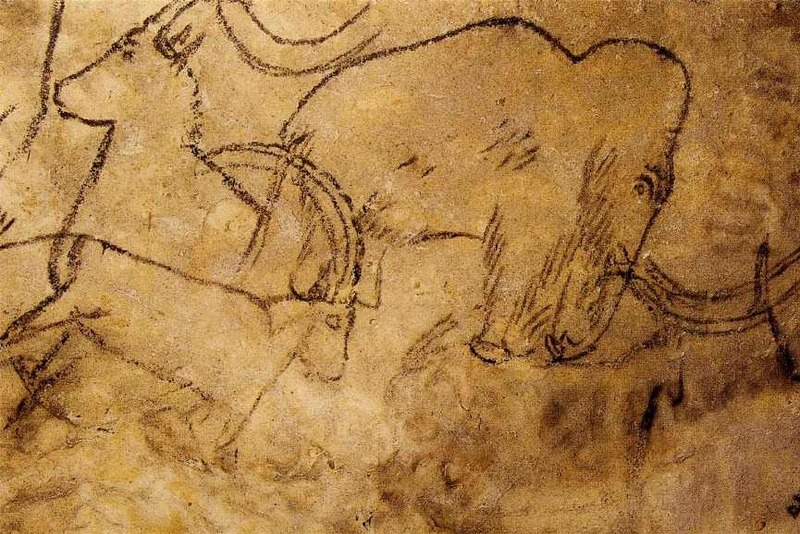 The first cave paintings in Southern France and Spain depicted hunting scenes. The meaning of predators and large animals hunted for food is still the subject of many debates. 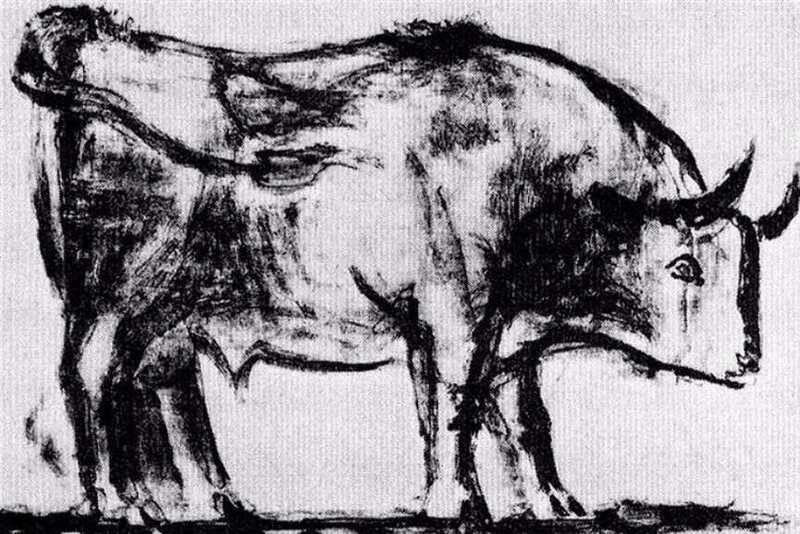 Charcoal pictures of horses, bisons (Altamira) or reindeers (La Pasiega), rhinos and lions (Chauvet) or even mammoths (Rouffignac) were maybe part of shamanistic and similar magic rituals. Some drawings symbolize fertility or successful hunting, while others were meant to invoke ancient deities from the spirit world. This logic was maintained in tribal and naïve art worldwide. As the human survival was related to hunt, images of animals were in every primitive society. In many early civilizations, such as Ancient Egypt, India and China, the trend of associating animals with the polytheistic beliefs endured. In archeological excavations many images of different animals were found, both domestic and wild. As the animals were one of the primary food resources, their presence in everyday activities was inevitable – but many of them were also sacred and hence, worshiped. 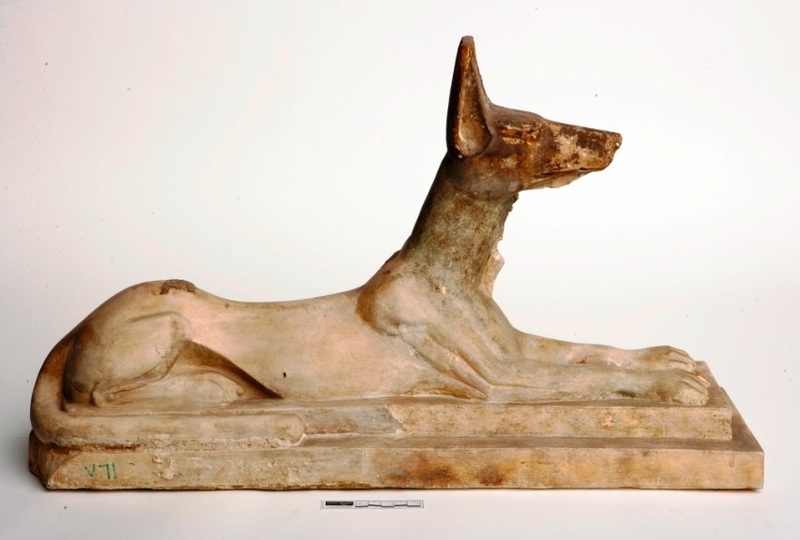 In Egyptian tombs, famous depictions of companion animals stand – including dogs and cats. Cats were even associated with goddesses Mafdet and Bast, and held as pets, even mummified after death. In China many real (dog, snake, monkey, pig, spider…) and imaginary (phoenix, dragon, unicorn) animals were noted as very important and were frequently represented in any form of fine art. In Hinduistic religious beliefs preoccupied with reincarnation, animals were as equally important as humans. Similarly to Egyptian tradition, in India many godlike creatures are presented in human-animal form. For example, Ganesha has the head of the elephant and the human body. In both Hebrew and Arabic early cultures, which were animistic in essence, animals were slowly moved to their symbolized meaning over the time, to depictions we can find today in monotheistic religions – Judaism, Christianity and Islam. Classical Greek and Roman cultures set the concepts of natural hierarchy organized by the level of complexity and perfection, and surely humans were on its top. Monotheism brought the belief of dominance of (humanlike) god over the animal world, and this concept is crucial for understanding the position of animals within the art, which is largely influenced by Classical Greek and modern Judeo-Christian culture. Tradition of animal symbolism played an important role within the Christianity and related art practices, from proto-Christian catacomb drawings to Middle age manuscripts, Gothic and Romanesque relief sculptures, Renaissance decoration art, tapestries, miniatures and paintings. 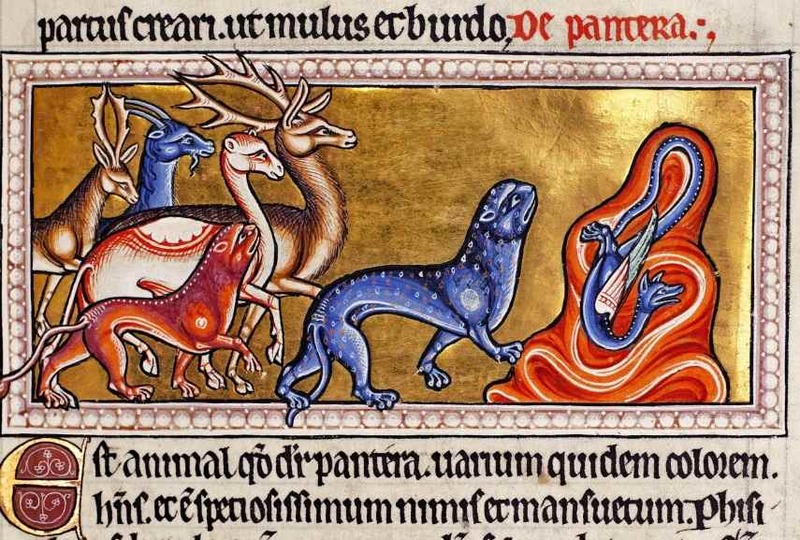 In Medieval art there was even special art form dedicated to animals: A bestiary, also known as bestiarum vocabulum, was a compendium of beasts, richly illustrated volume describing various animal creatures including both real and imaginary animals and their symbolism in accordance to Christian dogma. From the 17th century onward, artists have started to represent hunting scenes or domestic life, where human characters were accompanied with animals. Popular themes included struggle between man and beast, used as metaphor for untamable forces or human instincts. In the 18th century, research of the natural world was blossoming and the fascination with the beauty of nature and complexity of the animal world reflected on art. In Victorian salons of the 19th century, animals were represented as an inseparable part of the aristocracy everyday activities. 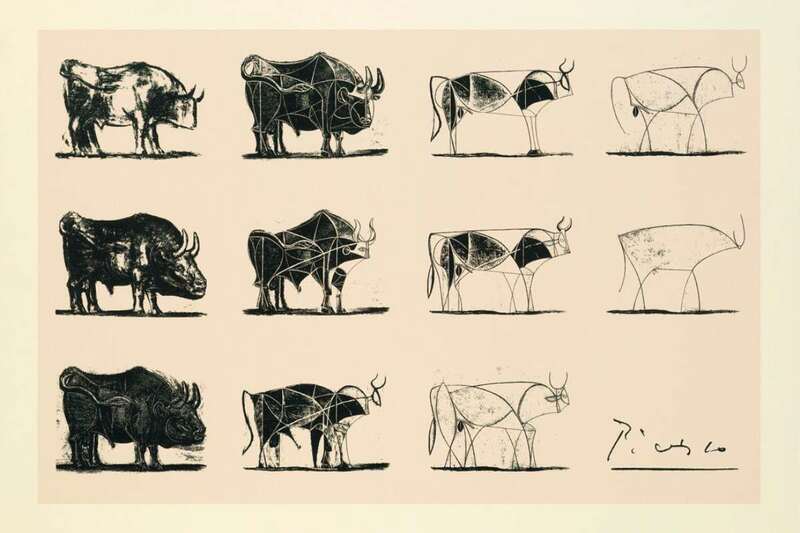 The modern art in 20th and 21th century, united the all previous ways of representing animal world within art – animals maintained both symbolic and descriptive values but also were treated as equally important characters. Many contemporary artists use strong references from the art and ancient or primitive cultures in their complex studies of animal body. 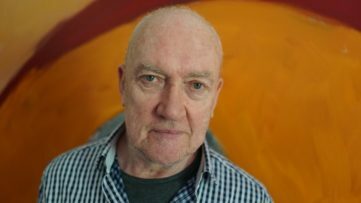 Today, there is an especially meaningful tendency within art – animal rights activism, summing all activist practices in order to end the chain of animal exploitation in all of its forms, including the arts. 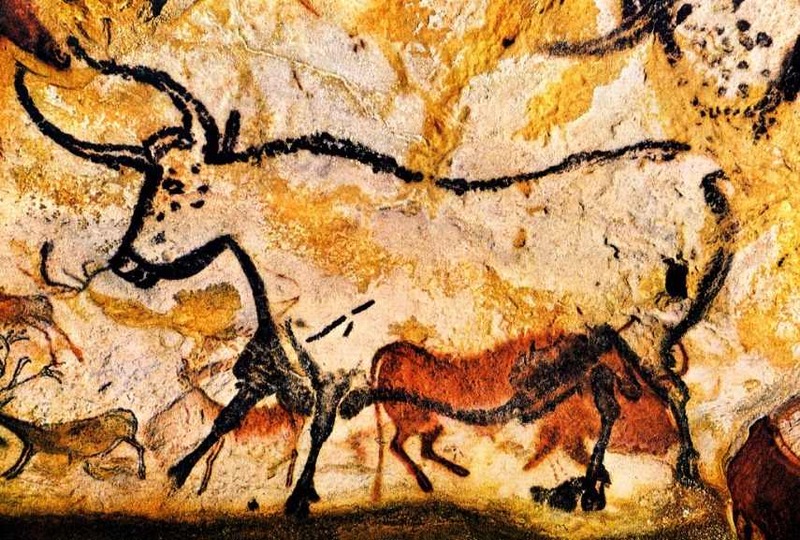 Pech Merle is a cave located in French province of Occitania, with murals dating from 25,000 to 16,000 years BC. The cave art of Pech Merle belongs to so-called deep cave areas and depicts vivid images of woolly mammoth, as well as other big animals. Drawings are most likely formed during the last ice age, when the people reached for the shelter in deep chambers at Pech Merle. At the famous Chapelle des Mammoths, the figures of the mammoth and aurochs are part of the magnificent longitudinal frieze while drawings of the animals followed natural curves of the cave walls. In Ancient Egypt, Bastet (meaning: she of the perfume jar) was a cat goddess, representing domestic cat-pet and mighty lioness. 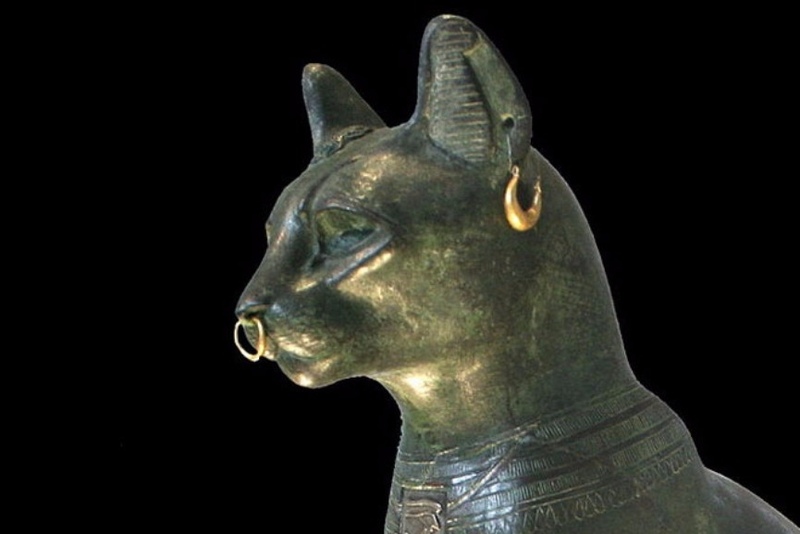 Bronze sculpture of Bastet from 6th century BC is both embodiment of the divine creature in its grace and the detailed portrait of the live animal. The statue is named The Gayer-Anderson cat, after Major Robert Grenville Gayer-Anderson who restored it in 1930s and later donated it to British museum. The cat was originally equipped with gold and gem stone jewelry, covered with the crystal powder and red pigments. 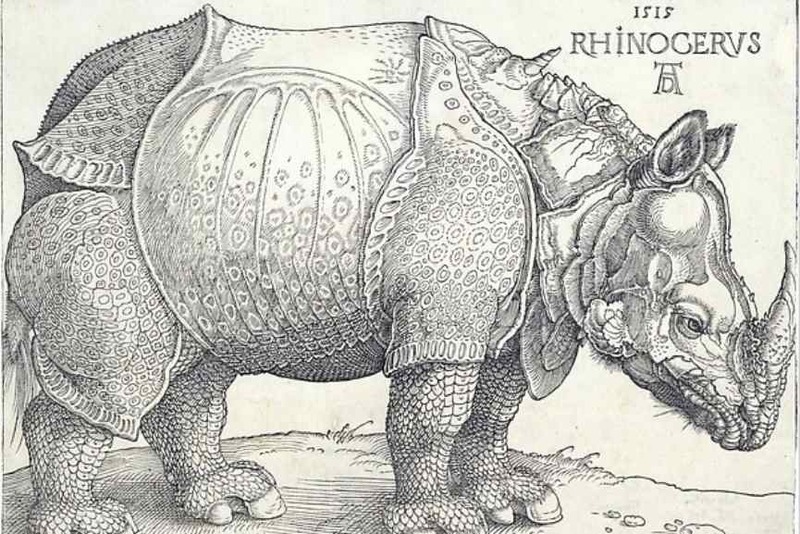 Albrecht Dürer‘s woodcut is artistic representation of the Rhinoceros, the animal which fascinated the world of his time. 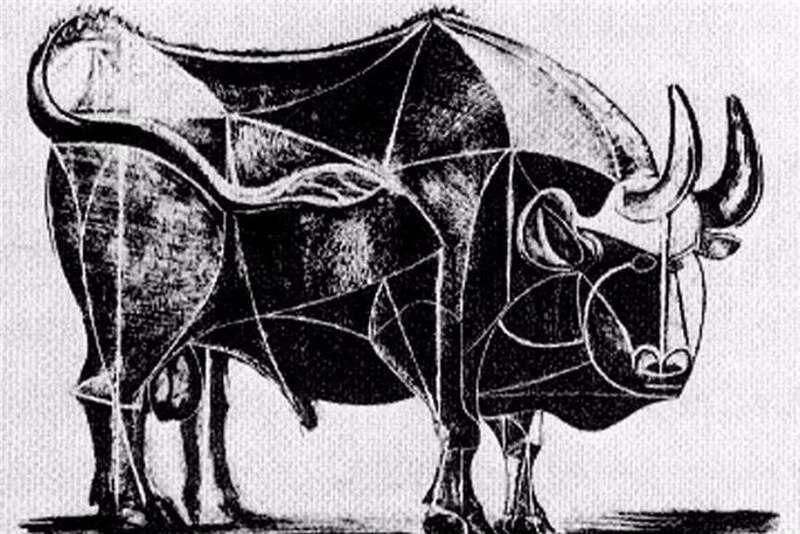 The artist himself has never seen the Rhinoceros, and the drawing is based on written descriptions and rumors. The mechanical or rather robotic portrait of the Indian rhino is regarded as a scientific anatomic study. At the the 18th century, Europeans finally had a chance to see the living animal. Hence, Dürer’s Rhinoceros stayed the fine example of the didactic role of art, which lasted to first decades of 20th century. 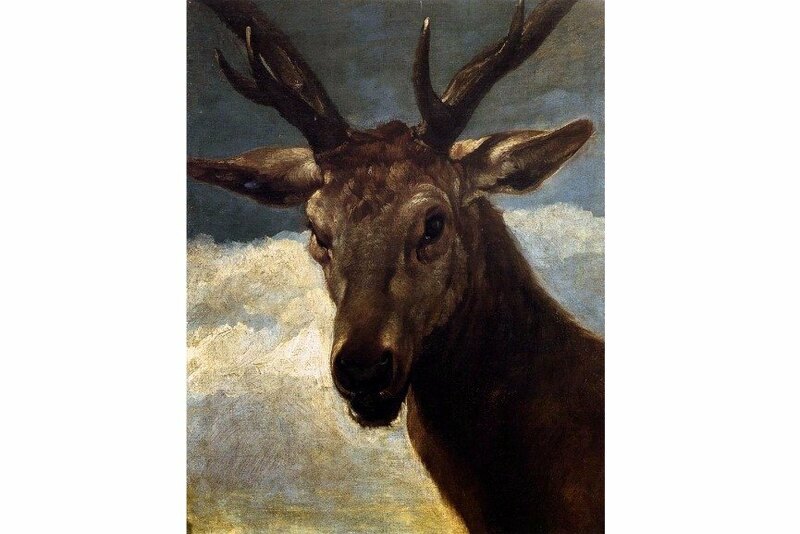 Head of a Stag is a baroque painting by Spanish painter Diego Velázquez from his Madrid period (between 1631 and 1648). Velázquez was important artist at the court of Spanish king Philip IV. He was well-known and famous by his portraits of the royal family. As Head of a Stag depicts an animal, there is no visible cultural references on it. The historians of art have had notable difficulties with dating the painting. After many disputes, it is assumed the painting was a tribute to the Spanish King’s hunting adventures from late 1620s. In this portrait, Velázquez deployed all his talent to display freshness. His unbearable naturalistic expression emphasize the wild animal power. 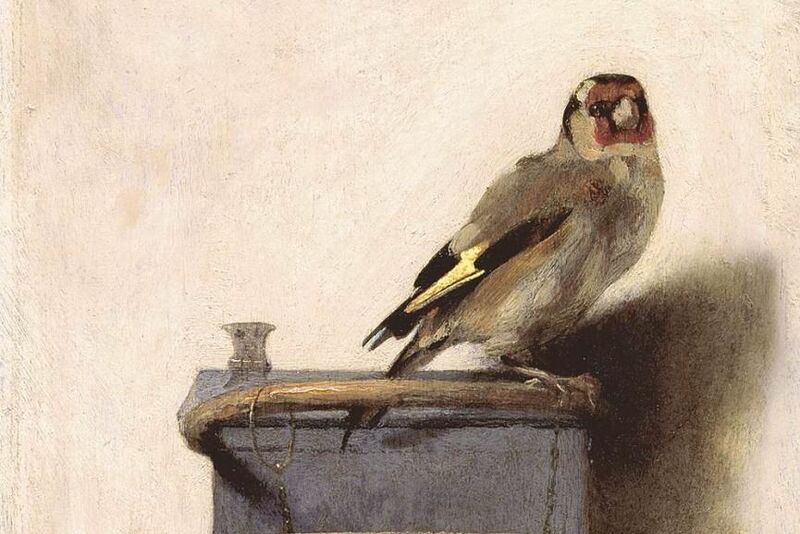 The Goldfinch is an oil painting by Carel Fabritius dating from 1654. It depicts a chained goldfinch, which was a popular pet animal at the time. Marvelous realistic painting is showing the talent of the Rembrandt’s student. His mastery was to gain truthful representation of tiny bird in only several wide brush strokes. Moreover, the Goldfinch painting made the experiments with the perspective, colors and shadows visible. 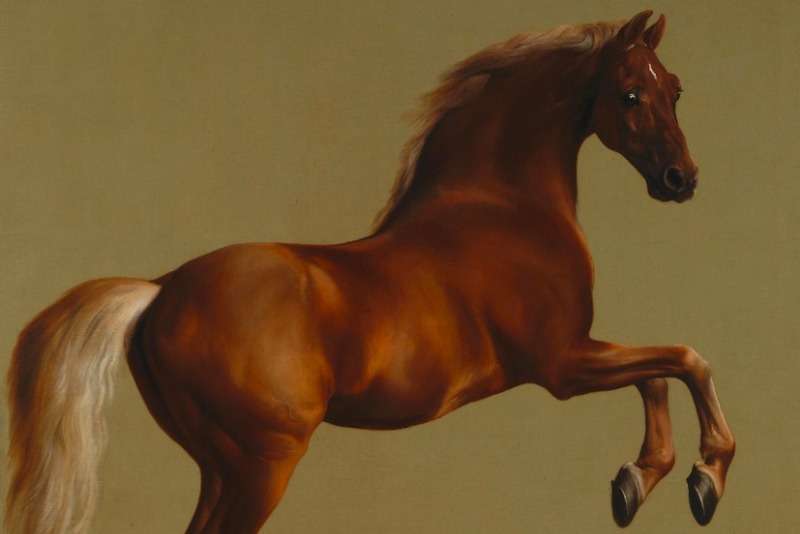 George Stubbs was a famous British equine artist, a painter specialized in animal portrayal. In 1762, he was asked to visit Marquess of Rockingham at his country house in Yorkshire, to study many animals. Whistlejacket was famous racing horse, owned by Marquess of Rockingham. In his lifesize masterpiece, Stubbs depicted the riderless Whistlejacket in monumental pose emphasizing all his grace and power. 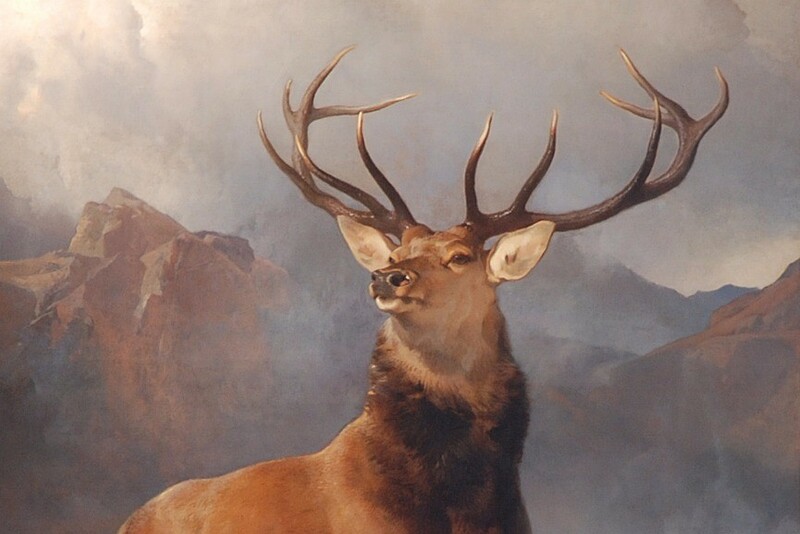 Edwin Landseer was a famous painter of 19th-century British art, who was commissioned to do a series of large-scale paintings for Westminster Palace in London. 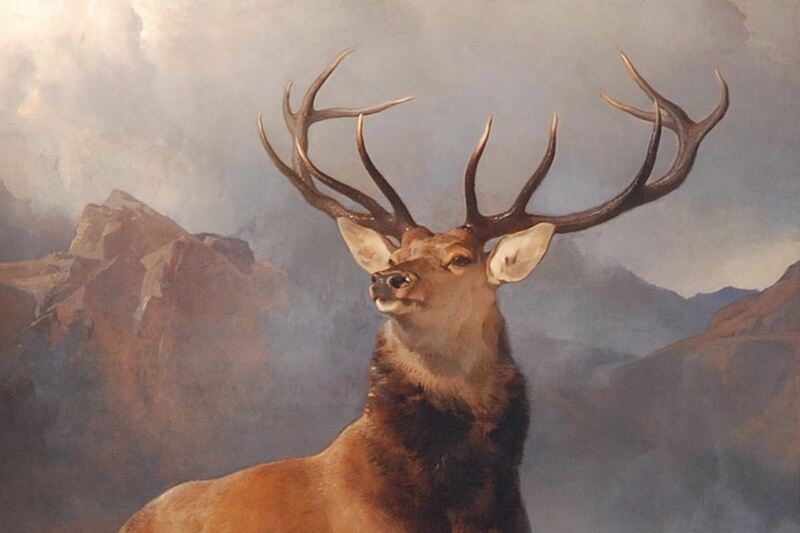 Painting of a stag in traditional Scottish surroundings became enormously popular in Britain. Furthermore, it became iconic representation of the power of nature, so various companies have bought the copyright to use it in advertising and logo design. 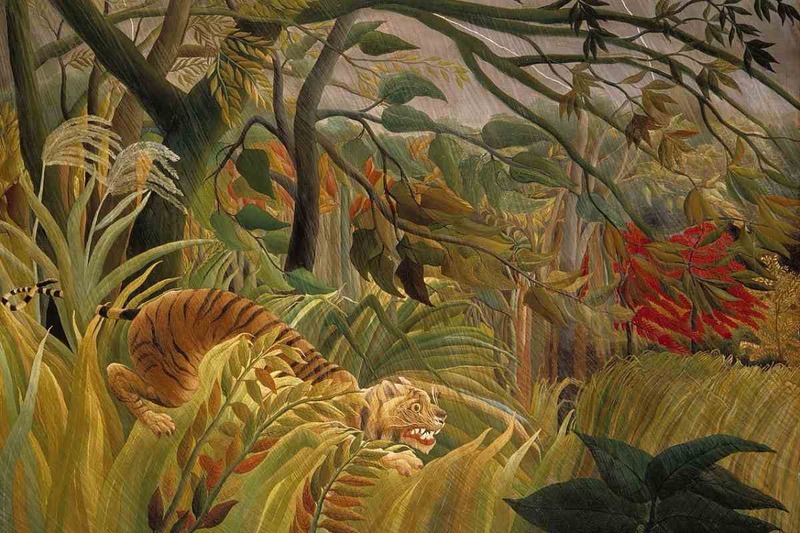 Henri Rousseau was a post impressionist painter, well-known for his invention of portrait landscape genre. His paintings are based on illustrations, exotic cultures and naïve paintings. Surprised! 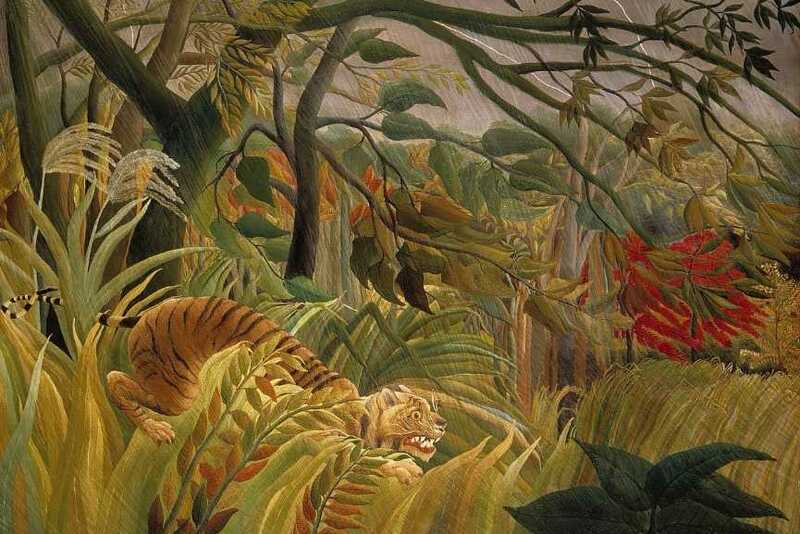 is the portrait of a tiger in the jungle, a surreal depiction of forces of nature. 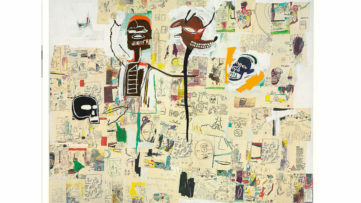 The painting has strong symbolism and it connects the nature with the deep instincts and the wild side of human psyche. 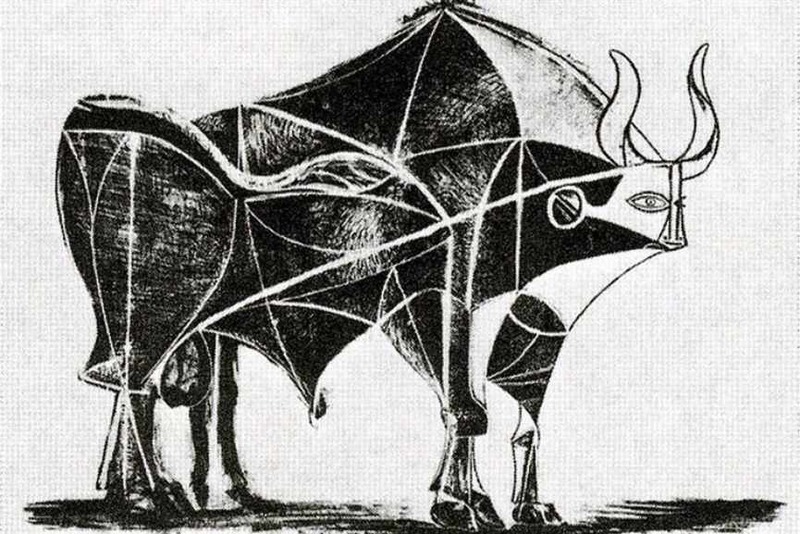 The famous study of Bull by Pablo Picasso, represents the master class in abstract art. Picasso revived the whole history of art with the many references within this work. In 11 plates of lithographs, Picasso went from the prehistoric cave drawings, across the Dürer‘s study of Rhinoceros and visual expressionism to cubism and finally, to modern abstract painting. 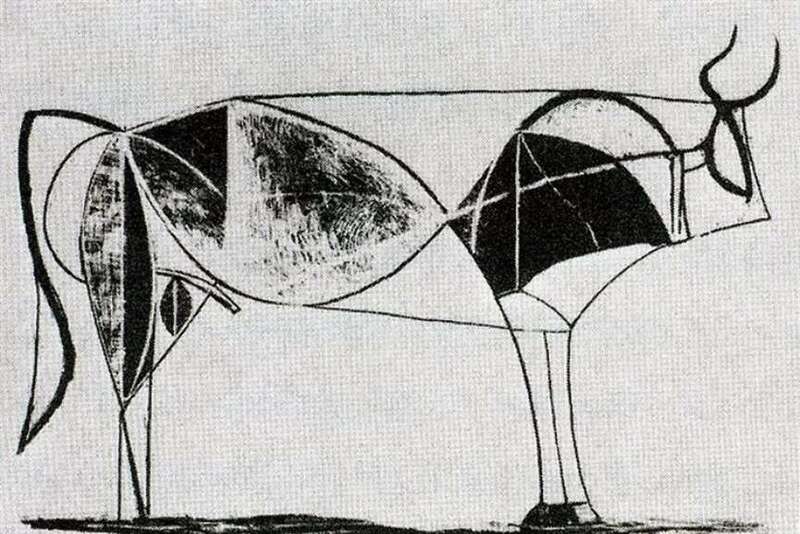 The final, eleventh plate, depicts bull in reduced linear abstract manner. 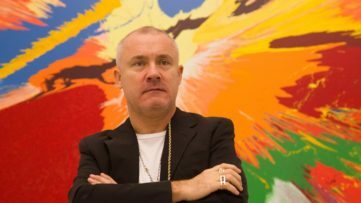 In the nineties, a controversial British conceptual artist Damien Hirst created a series of so-called “pickled animals”. 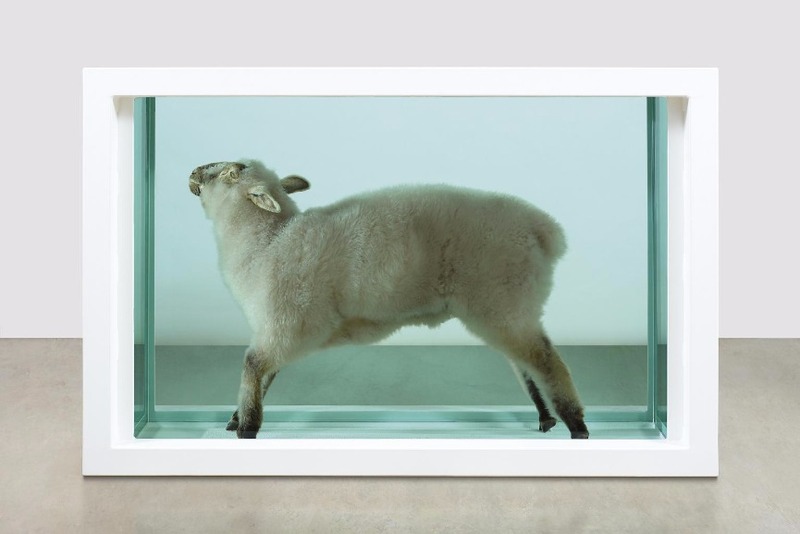 These are large scale installations of various animals, immersed in formaldehyde. The series is considered controversial and it has raised many questions of ethical treatment of animals within the world of art. 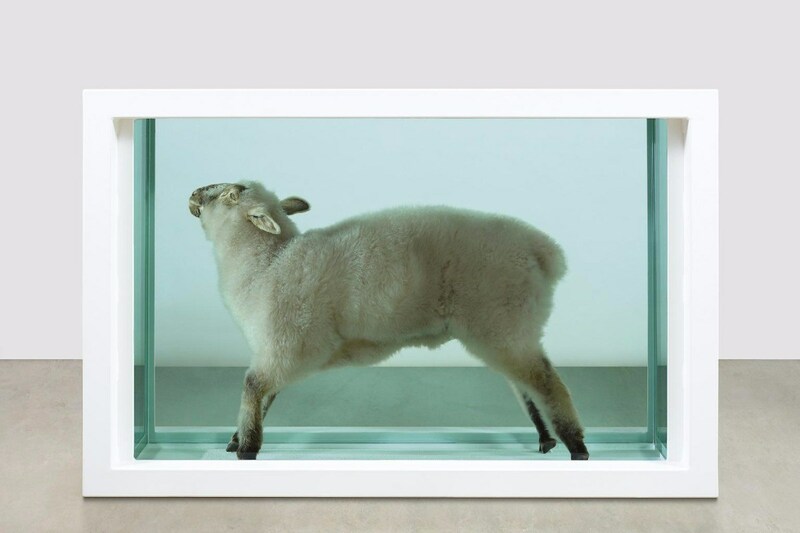 With the three version of the sculpture Away from the Flock, Hirst reflects the subjects of life and death. The artist addresses the tragic fate of all human attempts to preserve the life and living things, which end in destruction and desolation.